Are you planning to upgrade your car audio system? Do you want to get your hands on the best Bluetooth car stereo? If your answer is yes, then this article can help you choose the device that fits your need. The car stereo is the highlight of car audio systems. They have a handful of useful features, and they look terrific on the dashboard. Also known as the head unit, receiver, and radio, car stereos perform different functions to entertain drivers and car owners. Today, car stereos include built-in Bluetooth. This wireless function connects other devices to the car stereo. It also allows you to share data from gadgets like a laptop or smartphone. Up-to-the-minute devices offer more complex functionality than average Bluetooth car stereos. This is the reason why it’s important to only choose from the best devices. The Pioneer DEH-X6900BT is a cheap Bluetooth car stereo. This device will upgrade your stock stereo with some sweet and new features. It offers state of the art functions even though it’s inexpensive. Pioneer DEH-X6900BT has a CD, USB, and Mp3 receiver with Pandora link, auxiliary support, A2DP Bluetooth, and iPod support. It is MIXTRAX compatible which means that it performs advanced playlist analysis to identify the best transition for each song. This feature seamlessly blends and mixes the tracks to produce an ultimate listening experience. Pioneer DEH-X6900BT also sports a 2-way iPod control allowing the user to manage the stereo using an iPod, while its advanced Bluetooth technology permits wireless phone calls and music streaming. The radio reception on this car stereo is excellent. However, the display is hard to see during the daytime. It’s a beautiful device for its price, but its functions can be complicated. You need to press many buttons to transition from one channel to the next. The Bluetooth connectivity is above-average. It lets you utilize voice commands to switch tracks and make calls. This device produces clear and crisp music even at high volumes. This is because of the onboard equalizer which keeps things balanced and just right. The stereo supports different audio formats such as AAC, Mp3, WMA, and WAV files. Difficulty in viewing the display if the color themes are set to red or blue. There are too many extra functions which make screen transitioning a bit hard if you’re not familiar with the device. The Pioneer Corporation is a distinguished multinational company that specializes in digital products. It’s no wonder that two of their Bluetooth car stereo models made it to the top five listing. Pioneer FH-S701BS has multiple playback and audio features. The device supports Mp3, AAC, FLAC, WAV, and WMA files and enables RW and CD playback. It is compatible with iOS 8 software and Apple iPhone 6 or higher versions. It has front, subwoofer, and rear outputs and audio auxiliary and USB inputs. The 13-band graphic equalizer allows separate control for the quality and strength of frequency bands. This in-dash receiver lets you play Mp3s, CDs, satellite radio, and cassette tapes inside your vehicle. Pioneer FH-S701BS sports many general features including a CEA-2006 compliant amplifier, 18FM/6AM presets, AM/FM tuner, remote control, and dual phone connection. Pioneer FH-S701BS also enables hands-free audio streaming and phone calls. The Hands-Free Profile (HFP) allows a wireless car kit to connect to a compatible device. Its Audio Video Remote Control Profile (AVRCP) supports fundamental remote control functions via Bluetooth. The Serial Port Profile is another essential addition because it serves as a wireless replacement for the standard RS-232 serial port. Overall, the Pioneer FH-S701BS double-DIN in-Dash has many wonderful and advanced features for an inexpensive car stereo. It has excellent playback functions and distortion-free wireless connectivity. Although, one thing can be said against this product; it is difficult to browse songs and change channels because there are too many controls. The A2DP reinforces the high-quality audio produced by the preamp outputs. This upgrades the sound of the songs played through the car stereo. Pioneer FH-S701BS is also SSP enabled. Therefore, it is compatible with most smartphones. The package comes with an external wired microphone for clear and convenient phone calls. The lights of the receiver are too bright. These bright panel lights can distract users when driving at night time. ​When switching channels, the dance mode feature can be annoying. Have you ever seen a car stereo that can playback DVDs from any country? The Power Acoustik PTID-8920B can do so because of its integrated region-free DVD player. This is only one of the many reasons why Power Acoustik PTID-8920B made it to the top five. Besides the unique playback feature, Power Acoustik also sports a 7-inch touchscreen display. The display will astonish you when it showcases CD and Mp3 information. You can also sync your phone contacts to this car stereo for convenient hands-free talking. Many excellent playback and audio features can be noticed in this Bluetooth-compatible car stereo. Its A2DP features wireless audio streaming, while its radio tuner provides 12AM/18FM memory presets. Also, Power Acoustik sports a 3-band parametric equalizer with custom options and presets, and an SD card reader that accepts 32GB flash drives. In general, Power Acoustik PTID-8920B is a good buy. It has a few unique feature, and its basic functions work well. But, other than that, you can say that it’s quite plain compared to the other two mentioned above. Power Acoustik PTID-8920B is designed with an RCA composite input which can be used to connect rear video cameras. It possesses video and audio outputs for multiple components. The built-in Bluetooth technology shows promising features and innovative profiles. Power Acoustik PTID-8920B may have multiple components, but it doesn’t support all of the primary video codecs. The device plays mp4, mp3, and mpg files but it cannot read WAV and AVI audio files. The equalizer settings only have treble and bass as its adjustment options. JVC KW-V130BT keeps your mobile in the loop when driving. You can control audio applications such as TuneIn Radio and Mog when your Apple iPhone is connected to the car stereo. Traffic information from Cobra iRadar, Intrix, and other driving applications can also be viewed. For powerful navigation, install the MotionX-GPS Drive app to see live traffic reports and maps on the receiver’s screen. JVC KW V130BT is already a complete package for a cheap Bluetooth stereo, but do consider adding a smartphone mount for easy use. JVC KW V130BT is a remarkable unit. It offers a vast array of functions that can maximize your in-car entertainment. It is compatible with Blackberry, Android, and iPhone devices, so its flexibility is impressive. The buttons and touchscreen controls are easy to use. Therefore, you don’t need to familiarize yourself first with the device before you can enjoy it. JVC KW-V130BT Bluetooth receiver features a 6.1-inch colored touchscreen display for quick and easy navigation. This device is made of high-quality parts therefore high durability is assured. The built-in Pandora technology allows you to connect your smartphone via USB or Bluetooth. No wireless remote control is included with the unit. Sony MEX-N5200BT is the best high budget Bluetooth-enabled car stereo receiver. This device is perfect for you if you have a few more bucks to spend. Sony MEX-N5200BT has better sound quality and more features than your average car stereo receiver. Sony knows that your mobile phone has nearly everything that you need, so they created a gadget that connects your smartphone medias to a car stereo receiver for a superb in-car entertainment. This CD receiver supports Sony’s remote application so that you can pick radio stations, launch apps, and select sources from your smartphone. App remote allows your mobile to serve as a display for the receiver so that you can view track info, caller details, album art, and messages. The hassle-free wireless connectivity is not the only key feature of this device. The MEX-N5200BT also sports Sony’s breathtaking Advanced Sound Engine. It features a digital time alignment and a 10-band equalizer to set up perfect frequency filters for clear and powerful acoustics. Sony’s powerful digital reality amplifier is well known for its realistic audio production and solid sound output. Also, this device has three sets of preamp outputs and external amps if you wish to expand your car audio system further. Overall, Sony MEX-N5200BT CD car stereo receiver is a well-designed and comprehensive audio enhancement for your car’s sound system. Sony did go to the extremes to design this little gadget. The design is sleek and impressive, and the functions and features are bug and glitch free. Regarding safety, the light bars from the display can become a problem. Some people find it annoying especially when they are driving at night. 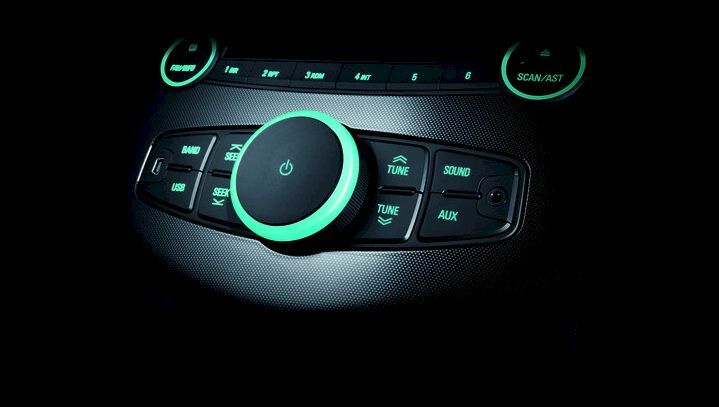 The Selectable Sound Synchronization Bluetooth color changes with every music track. App Remote selects phone applications and combines music into a single list. The voice activation function enables paired devices to respond to spoken commands. The panel lights and beeping functions can be irritating. The designs and functions are complex, and the package doesn’t include a manual. Bluetooth car stereos come in different sizes and shapes with varying levels of functionality and support. All of the devices in this list are Bluetooth enabled, but it shouldn't be the only function to consider. Other features and specifications must be weighed. You also need to check if it is compatible with your smartphone and vehicle. Below is an outline of a few things that you need to consider before choosing your Bluetooth car stereo. How would I like to use my new car stereo? If you fancy listening to CDs, then you obviously need to choose a car stereo that has a CD slot. Other than that, a product that has a USB, DVD, and other input options is a better buy than those which has only limited input options. The double-DIN and single-DIN are the two major stereo sizes. Size matters when buying car stereos. However, if you have a narrow opening in your car’s dashboard, then double-DIN models are out of the picture. Larger products do hold more functionality and features than smaller models, but there are still nifty single-DIN models. Not all Bluetooth-enabled car stereos are created equal. Basic ones can link to your device and play music, but that is all there is to it. Do not settle for products with low levels of functionality. Choose the ones that can display text messages, caller information, track info, news, play music, stream audio, etc. The RMS power specification is the first feature that you must look into because high-quality audio can be measured by the maximum loudness that a stereo can produce. Also, the built-in preamp is another useful feature to check. Integrated preamp allows you to connect additional amplifiers or subwoofers if you wish to upgrade your car audio system further. The convenience, entertainment features, and safety guaranteed by Bluetooth car stereos differ from one model to the next. Some are worth the buy, while some are a waste of money. The top five models in the list above are the cream of the crop. This means that they are the best Bluetooth car stereo regarding functionality, features, durability, and design.